A non-stop, high energy, one-man show using original music and physical theatre to tell the parodied story of two brothers living the Hip Hop Life. Taking the audience from the 1970s all the way into the future, this fast-forwarding/rewinding live-hip-hop show is written entirely in rhyme and cleverly crafted song lyrics. Sébastien Heins utilizes Hip Hop and R & B, Rap, Soul, Funk, and Gospel to take the audience on a touching journey of family and brotherly love. 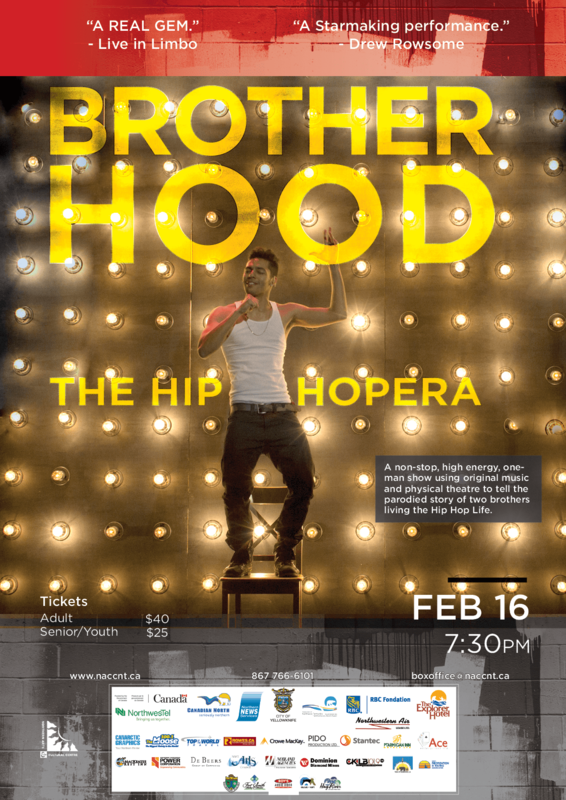 Brotherhood is a triple-threat performance of theatre, dance and the immersive experience of being at a live hip hop show.